With all the talk focused around the iPhone 5 lately, it is easy to lose sight of all those individuals who are running devices like the iPhone 4 or 4S on earlier versions of iOS and are still enjoying their untethered jailbreak. 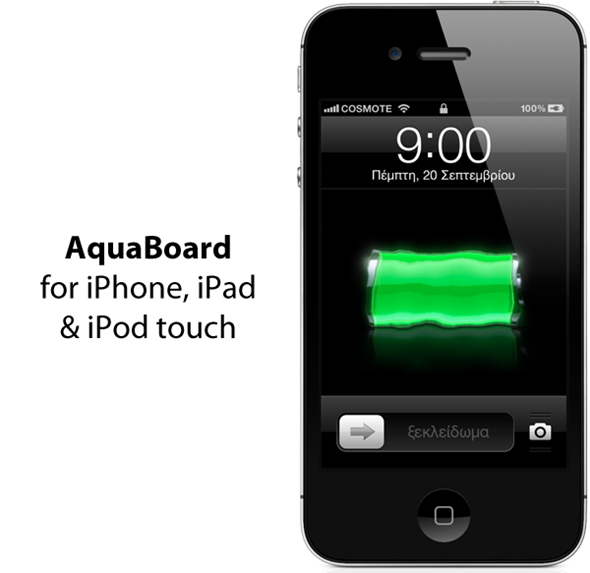 The jailbreak dev teams will be looking for ways to liberate the iPhone 5 that’s for certain, but in the mean time, the show must go on, and thankfully the release of yet another great little package from Elias Limneos is ensuring that it goes on in great style. The AquaBoard Water Effects tweak is something that doesn’t bring a huge amount of functionality to a jailbroken iPhone, but it does offer insane amounts of fun using OpenGL graphics rendering when the user interacts with the screen. The main purpose of the package is to bring a little light-hearted fun to the device and it’s easy for me to think of this new enhancement along the same lines of the fantastic Barrel tweak that exists to offer visual and eye-catching animations when interacted with the device. When downloaded and installed, AquaBoard applies a gorgeous looking ripple effect to the screen whenever the user chooses to interact with an icon, or drag from one home screen to the next. The tweak manifests itself over the top of the current display and captures the user input whenever they touch the screen to invoke the animations. From a technical aspect, the package is extremely advanced, with Limeos integrating OpenGL 2.0 technologies to present the most life-like water animations possible. The tweak also has additional options to allow the user to customize the ripple effect that they see, with ten different patterns being available that are a combination of size and depth changes. Although, I have yet to put the package through rigorous testing, it is claimed that it is also extremely friendly on the device’s battery due to the fact that it actually only processes any sort of rendering when the animation is occurring. With packages like these, it is easy to get things wrong and have the OpenGL rendering running permanently, therefore depleting the battery very quickly. Hopefully this won’t be the case with AquaBoard. 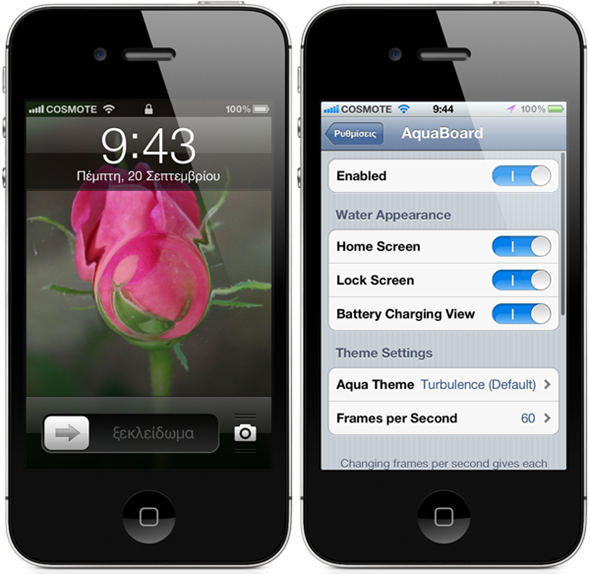 AquaBoard is available as a $2.99 download from the BigBoss repository and requires iOS 5.1 or above.